With two studio-quality condenser microphones configured in a wide 120 X/Y pattern, your Q3HD can capture even the loudest live concerts in HD with incredibly clear audio. Time lags generated by differences in distances from sound sources are eliminated by aligning the left and right recording positions on the same axis. In addition to left-right stereo width, a sense of depth from front to back is also captured faithfully, allowing your recordings to sound three-dimensional. With the Q3HD, it’s never been easier or more fun to shoot great videos. Select 720p or 1080p for amazing clarity and detail no matter where or what you’re shooting. It also includes two standard definition (SD) formats for those times when a smaller file size is needed. With a new lens and imaging sensor, the Q3HD captures exceptionally clean video that is compressed with the high quality H.264 video codec. It also has a larger aperture, which lets more light into your movies. 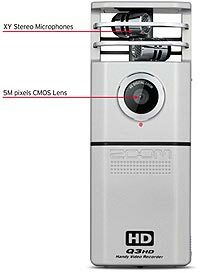 And with its 4x digital zoom, the Q3HD gets you closer to the action. A USB cable is conveniently built into the unit, allowing the Q3HD to be connected directly to a Mac or PC. The USB 2.0 Hi-Speed standard allows even large video files to be transferred smoothly and quickly. 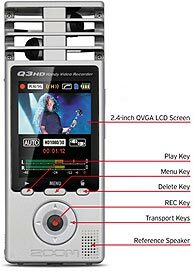 The Q3HD’s bundled HandyShare editing and uploading software lets you to manage and edit your audio and video recordings easily as well as upload them to social networking sites. From live musical performances, rehearsals and recitals to journalism, education and sports, you can easily share your movies with everyone on your favourite websites like YouTube. Moreover, effect functions in the software allow you to bring the sound of video recordings up to the level of a finished product. Normalize a recording for a consistent volume level, add reverb to give rich reflections to the sounds of instruments and voices and use a mastering effect to enhance the impact of a performance with compression. Just select a preset. It’s easy enough for anyone to use. The rich stereo sound captured by the X/Y mic pair can be recorded to linear PCM WAV files. 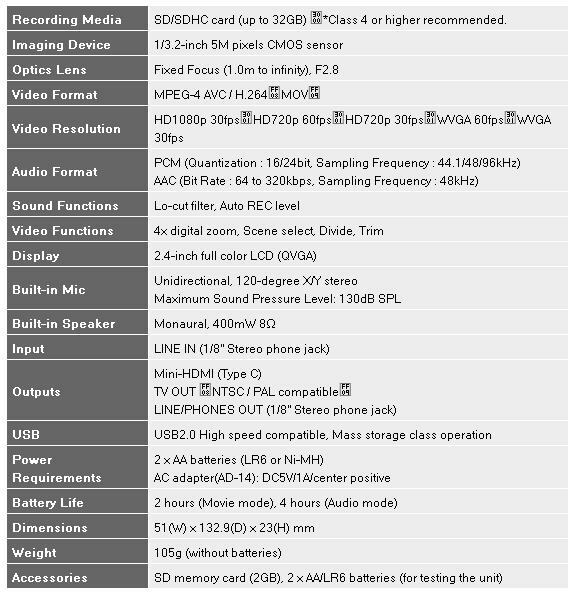 When taking full high-definition 1080p video, high-quality sound with resolution of up to 24-bit/96 kHz can also be recorded. In addition to being able to switch between “Low” and “High” gain levels, the “Auto” setting allows for automatic level adjustments. The versatile controls on your Q3HD mean your videos have amazing clarity no matter the application. After turning the power on, the Q3HD is ready to shoot in just 2 seconds. Just press the REC button to start recording. 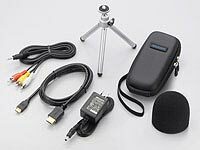 With a compact form that can easily be carried in a pocket, you will be able to shoot full HD video and professional-quality audio with ease. The Q3HD has a mini HDMI connector that allows the digital output of your videos. 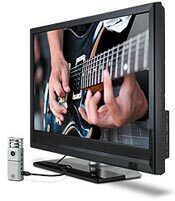 Connect the Q3HD to an HDTV by using an HDMI cable (sold separately) and enjoy your movies with your family and friends. And the Q3HD’s audio will sound incredible on your home theatre's audio system. The Q3HD utilizes SD/SDHC as an affordable way to increase recording capacity. The included 2GB SD card can record about 30 minutes of full HD video, while a 32GB SD card allows for about 7 hours of full HD video recording time with AAC (192 kbps) audio quality. Click here for Card Capacity / Recording Time Charts. 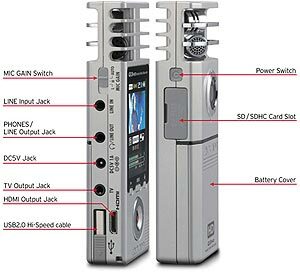 The Q3HD is powered by two standard AA batteries, resulting in about 2 hours of continuous recording. The unit is also compatible with NiMH batteries, which can be recharged using a commercially-available charger (see our suggested batteries and chargers below).